As a resident of Sonoma County since 1977, Victoria Kochergin has witnessed first hand the ongoing growth of the wine industry in Sonoma County. After years of being in multimedia and information technology services, she decided to pursue her passion for wine. In 2006, Victoria became the first student to complete the Wine Studies program at the Santa Rosa Junior College with an emphasis in Evaluation & Service. Victoria currently works at St. Francis Winery & Vineyards where she conducts Aroma Sensory workshops for groups and is a Wine Educator for their Reserve/VIP tastings as well as their Wine & Food pairing program. 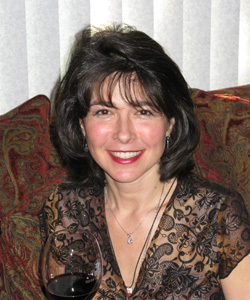 Throughout the past few years, she has been involved with various wine judging competitions including the San Francisco Chronicle Wine Competition, Grand Harvest Wine Competition, National Women’s Wine Competition and West Coast Wine Competition.